25 years ago, a breathtaking leap in the history of animation stunned and amazed audiences, with the release of Mamoru Oshii’s Ghost in the Shell. 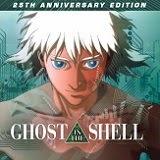 Now, to celebrate a quarter century of its groundbreaking blend of traditional cel and CGI animation, Anchor Bay Entertainment proudly announces the Ghost in the Shell 25th Anniversary Edition Blu-ray. Boasting an all new HD transfer, the GitS 25th Anniversary Edition Blu-ray streets September 30th. 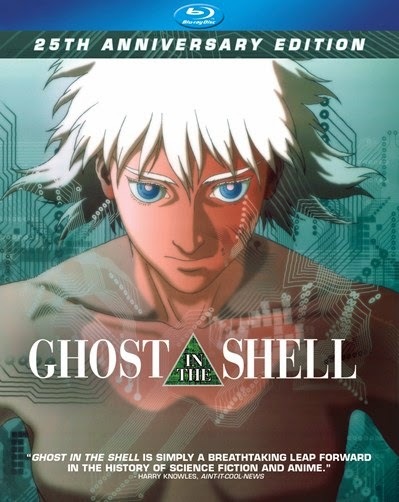 When released in 1995, Ghost in the Shell took the world by storm exhibiting a new dimension of anime with unprecedented and mesmerizing cinematic expression. Seamlessly merging traditional cel animation with the latest computer graphic imagery, this stunning sci-fi spectacle broke through the boundaries of mainstream animation with detailed artistic expression and a uniquely intelligent story line. 2029 – A female government cyber agent and the Internal Bureau of Investigations are hot on the trail of a "The Puppet Master" – a computer virus capable of invading cybernetic brains and altering its victim’s memory. Created by the Ministry of Foreign Affairs and codenamed "Project 2501", this 'hacker' is actually a prototype virtual agent which has now defied its makers by seeking asylum within a new host body outside of the electronic net. Now the two agencies must maneuver against each another in a violent, high-tech race to capture the omnipresent entity. The film has gone on to inspire a generation of filmmakers and has become the most revered anime feature of all time. Veteran anime writer/director/producer Mamoru Oshii, working in conjunction with the animators at Production I.G. (Blood: The Last Vampire, Kaidohmaru, Kill Bill) brought to life Masamune Shirow’s vision. This excellent cyberpunk thriller was co-produced by Manga Entertainment and enjoyed both critical and popular success at the U.S. box office and was the first Japanese animated film to reach No. 1 on the Billboard Top Video Sales Chart. Can't wait to catch this one--it looks intense! I haven't seen this yet but I want to check it out too. My friends really liked it so this has been on my radar for a while.